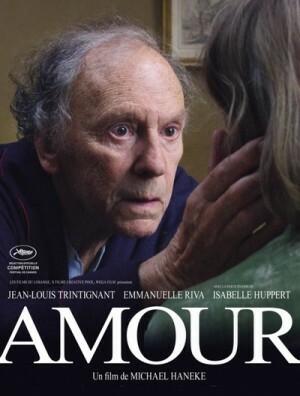 Georges (Jean-Louis Tritignant) and Anne (Emmanuelle Riva) seem to be weathering the transition to old age better than most. Two former piano teachers, they spend their days going to concerts, listening to music, and gently teasing each other about their age. Most importantly, they’re still devoted to each other. One morning, Anne has a stroke, and a subsequent operation leaves her partially paralyzed. From there- her health gets worse and worse, and George steadfastly refuses to commit her to an old age home, making her care his personal mission in life. But is his love a match for the ravages of time?